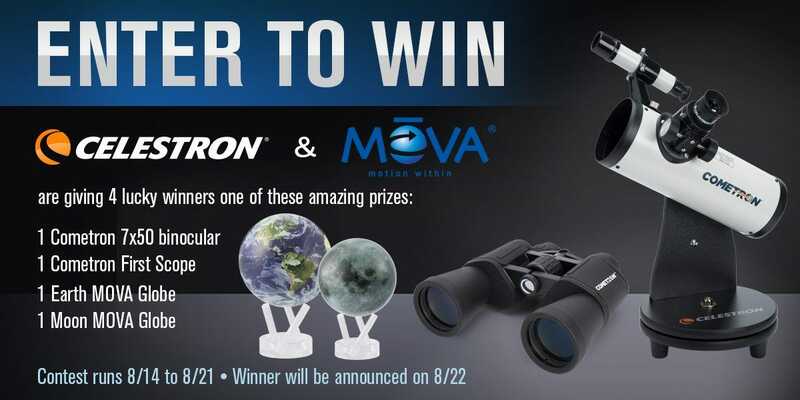 We partnered up with Celestron Telescopes to give four lucky winners one of four amazing prizes – you could win a 4.5″ MOVA Globe or a Celestron Cometron Telescope! Just submit your email to enter by selecting the log in using email option. Share on Facebook and refer your friends for additional entries!